My job is simple. My job is to help you build strong, resilient, symmetrically upright body. How do I do that? Using three unique ways. ROLFING – manual therapy that lengthens fascia in muscle groups which are chronically short and tight. 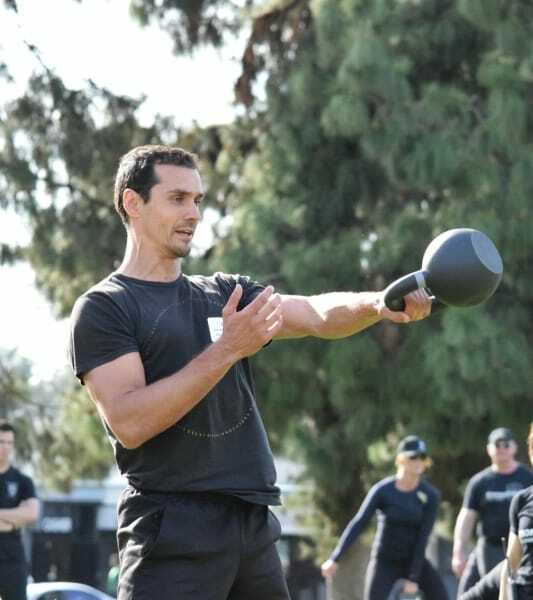 Using customized KETTLEBELL TRAINING to strengthen musculature which is weak and inhibited, and AMINO-NEURO FREQUENCY therapy to improve firing signal of your nervous system and decreases chronic inflammation in your body. My whole life seemed to channel me toward my profession as a Rolfer and trainer when I started walking at the age of 9 months which created its own set of imbalances and problems in my legs and hips. I started playing soccer nearly as soon as I could walk and have been involved in many sports throughout my life. Beach Volleyball, ice hockey, skiing, CrossFit. During these sports and activities, I always battled some level of tightness, pain, and/or discomfort. Because of the issues I suffered, I was always interested in the mechanics of movement during my younger years, leading me to study sports science through high school and university in Czech. When I moved to the US in 2001, I began a career as a massage therapist which exposed me to the world of Rolfing and strength training. After being Rolfed myself, I felt a freedom of movement I've never experienced before. Whether it’s playing my sports, or simply moving in the gravity field. I knew immediately that this career path would allow me to share that knowledge with others and that is what I was meant to do all along. But I also knew that just Rolfing is not enough, we need to keep strengthening our bodies for rest of our lives. Skilled manual therapy with combination with exercise provides much better outcome than surgeries and pharmaceuticals. Now I work with people of all ages and all levels of athletic ability, including those suffering from chronic pain, injuries, and surgeries to professional athletes, Pilates and yoga instructors, surfers, martial artists, volleyball players, and people who spend hours hunched over the computer every day. We are what we think, eat and do. No matter who you are, how old you are, what your situation is, whether you consider yourself athletic or not, ITS NEVER TOO LATE TO LIVE YOUR UPRIGHT STRENGTH. You and I were meant to be STRONG.